The Gold ATM is Atlanta’s most trusted gold and diamond buyer. We have been serving our Atlanta-based customers ever since we opened our doors in 2007. Furthermore, we are an A+ accredited business on the BBB (Better Business Bureau). Our business has been growing in recent years, and we are looking forward to serving even more customers in the future. The Gold ATM offers a variety of services; we are well-known for buying gold and diamonds, luxury watches, vintage jewelry, estate jewelry, high-end designer jewelry from world’s famous brands, etc. You can bring any piece of fine jewelry to one of our offices, and our professional staff will give you a free jewelry evaluation. Our customer service is what sets us apart from others. We work in a secure and pressure-free environment; our customers are under no obligation to sell with us. Still, they can come in for a free and honest evaluation of their jewelry. What’s more, we always lead our customers through the evaluation process and teach them about their pieces. Also, we offer best jewelry loans in the area. If you need a quick loan, bring any piece of fine jewelry to us, and we will give you the best offer in town. You won’t be able to find better rates anywhere in Atlanta, especially when it comes to our low-interest jewelry loans, starting as low as 5%. Many of our customers enjoy the possibilities our new online store provides. We sell designer jewelry for a fraction of the price you might find at most jewelry retailers. One thing is certain; nobody can beat our prices. You can now own amazing designer jewelry without having to pay a fortune. Also, you can have all the time in the world to browse our website and online store and pick what you like best. 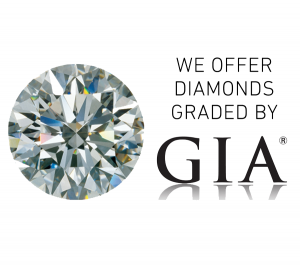 With over 250 five-star reviews on Google, we are the highest-reviewed gold and diamond buyer in Atlanta. Those reviews allowed us to expand our business in the past couple of years. At the moment, we have three offices at these locations: our first and main office in Smyrna, another one in Buckhead, and an office up in Roswell, GA.
We are proud to serve all of our customers from Atlanta, as well as from other surrounding communities. Pay us a visit and come experience The Gold ATM for yourself. For any additional questions, feel free to contact us.